This is the next post in my series discussing what defendants can expect from the legal process when facing domestic violence charges in Phoenix or Maricopa County, Arizona. My last post explained what the process will look like in the months leading up to a trial and how to prepare for the trial itself. 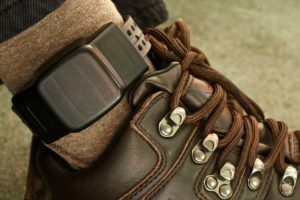 In this article I will explain what a person needs to know about probation following a conviction or the entry of a guilty plea. Arizona residents often have to serve a certain amount of jail time after having been convicted of domestic violence. The length of a jail sentence can vary. Factors which determine the length of a sentence can include the defendant’s criminal history and the facts of the case (such as the amount of harm inflicted upon the victim). For a misdemeanor, a person could serve a maximum of six months in county jail. Following a release from jail, it is almost guaranteed that a person will have to serve a period of informal probation – this can last anywhere from a few months to more than a year depending on specifics.It is also mandatory that person convicted for domestic violence go through a lengthy treatment program at their own expense, which includes classes and counseling. When on probation it is important to understand all of the required conditions and to take them seriously. When a person is accused of a crime then a Judge or Jury must find, beyond a reasonable doubt, that the crime occurred. The standard for finding that one violated probation, however, is much lower. A Judge may violate a defendant’s probation if there is any evidence that the accused has not complied with their conditions. One may also be considered in violation if they are arrested or suspected of a new crime. Prior to beginning probation, it is important for a defendant to address any difficulties they may have following their conditions and to put a plan in place ensuring that the requirements are followed. Probation may look different for everyone. But one constant is that everyone has something that must be completed. A Judge may order a person to complete a certain number of community service hours, a certain number of therapy sessions, or a certain number of anger management classes. When a person has a long period of time- often a year- to complete these hours, it is easy to procrastinate. This is a mistake that often leads to many people having their probation extended. When a person is required to complete multiple hours of therapy or community service, it is best to start as soon as possible and create a realistic schedule that provides you some wiggle room. Emergencies, illnesses, and unexpected circumstances can occur. If you are attempting to fit everything in close to your deadline then you may fail to meet your requirements. This can result in your having your probation extended or even revoked and going back to jail. If you are currently on probation following a domestic violence conviction then it is important to listen to your attorney’s advice carefully regarding how to stay in compliance. If you are concerned that your probation may be violated then contact a Phoenix or Maricopa County criminal defense attorney right away. I also represent defendants in Mesa, Glendale, Scottsdale, Chandler, and Gilbert and Pima County residents in Tucson.